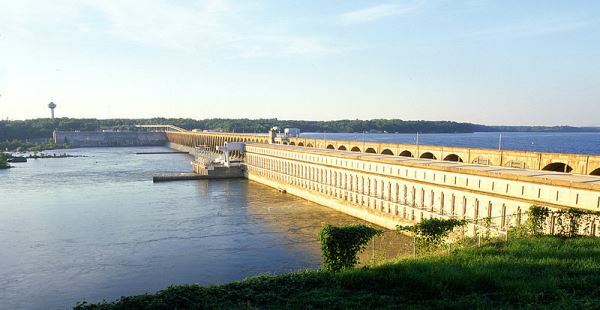 The IAM renews its call for Washington lawmakers to reject all efforts to privatize the Tennessee Valley Authority (TVA), a federally owned power agency that employs more than 1,000 IAM members and has provided low-cost, reliable energy to area residents for more than 80 years. Efforts to explore possible privatization have shown up in the White House budget for the second time in as many years. The IAM believes this logic is fundamentally flawed. The administration is looking for savings in the wrong place. Privatizing the TVA would put thousands of jobs at risk. It would also undoubtedly raise energy costs for millions of working families and make little to no impact in reducing the deficit. The TVA employs more than 13,000 people – many of them union members. It has generated approximately $11.2 billion in revenue, and, since 2005, is responsible for saving and creating over 300,000 jobs and spurring $32 billion in business investments. Since President Franklin D. Roosevelt signed it into law as part of the New Deal in 1933, the TVA has been the lifeblood for generations of families in the South. It provides cheap, clean, reliable energy to over 9 million people and is a driver of economic activity for most of Tennessee and parts of Alabama, Georgia, Kentucky, Mississippi, North Carolina and Virginia. In addition, no taxpayer money goes toward any of TVA’s operating expenses. And, the TVA pays its own debt. Click here to read a 2013 letter from IAM International President Tom Buffenbarger to President Obama and Congress urging reconsideration of the proposal to privatize the TVA. Other labor unions, including the International Federation of Professional and Technical Engineers (IFPTE), the International Brotherhood of Electrical Workers (IBEW) and the Building and Construction Trades Department, AFL-CIO have also voiced their opposition to the proposal. A resolution approved by delegates to the 2013 AFL-CIO Convention is available here. Take action to protect the TVA, good American jobs and clean, reliable energy for millions. Click here to tell Congress to vote “No” on privatizing the Tennessee Valley Authority.